Our company has a lot of titanium fasteners inventory, which can satisfy the global small amount of orders and those customers with urgent delivery requirement. At the same time, we also provide non-standard products according to drawings provided by customers. Looking for ideal Titanium Hexagon Nut with Metric Coarse Manufacturer & supplier ? We have a wide selection at great prices to help you get creative. All the M8 Titanium Hexagon Nut are quality guaranteed. 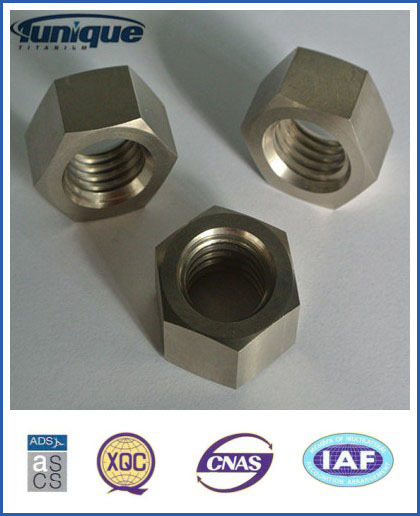 We are China Origin Factory of Titanium Hexagon Nut. If you have any question, please feel free to contact us.